This bag is made of laminated fabric. It is waterproof, strong and sturdy. 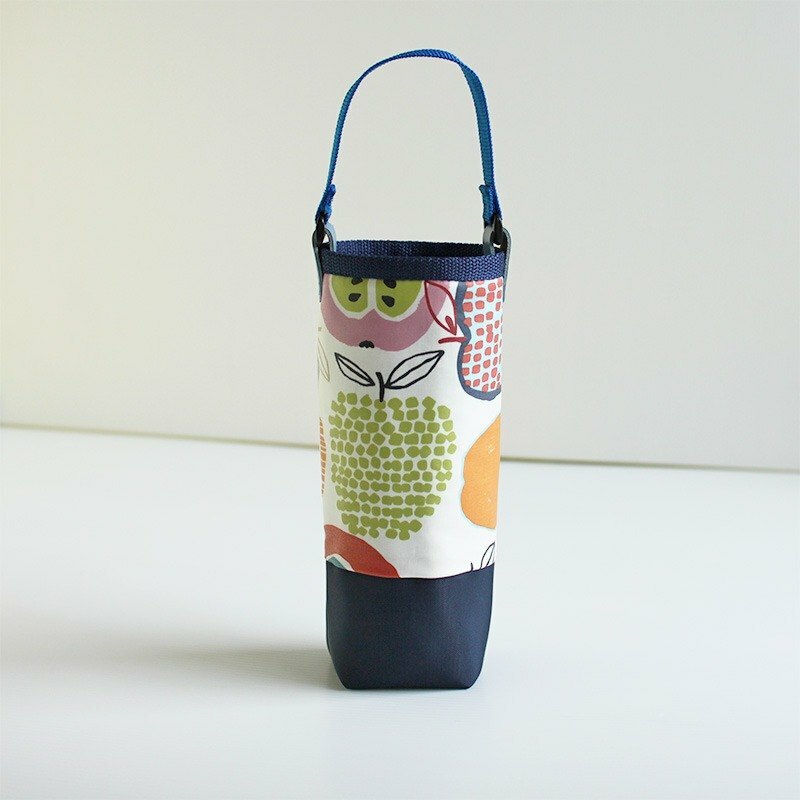 There is artificial cotton inside the bag, so that the water bottle put inside it can be well protected. Some mottled patterns on the bag are special effects of the original fabric, not defects. Please allow for some variation in color as displayed on different devices and screens. Actual colors may vary. <Dimensions> Internal diameter: 8.5cm Height: 24cm <Main Materials> Laminated fabric, artificial cotton, synthetic leather, Nylon webbing strap. <Care Instructions> Wipe with wet cloth Hand wash with cold water only when really necessary No Ironing. <Shipping Details> After receiving your payment, we will ship the product within 48 hours. For customers in Taiwan, shipment will take 2 to 5 days. For customers outside of Taiwan, please send us a Pinkoi message to check shipment times. <Returns Policy> Buyers may return an order and request for a refund(partially or in full) within 7 days counting from the day after the order arrives at the recipient's address. Buyers are responsible for all shipping fees including the shipping fees of returns.